* Mad House Teens – Wednesday’s at 7:00 p.m. Services are cancelled the 19th and the 26th. 1. Be sure to follow us on Instagram @kidslight_glbc. 2. Download the free Parent Cue App for resources to help disciple your children. on Wednesday nights, in the MAD House, at 7:00 pm! 2. MAD House services are cancelled the 19th and the 26th. 3. There will be a New Year’s Party at the MAD House on December 31! More details to come. 4. For any questions, you can contact our student pastor Mo Capaci at 501-276-6740. You can also follow @madhouseteens on Instagram and Facebook for updates and further announcements! 1. There will be half a day of school on Wednesday, December 19. 2. Christmas break is December 14 – January 2. 3. Annual Tournament of Champions January 3-4. 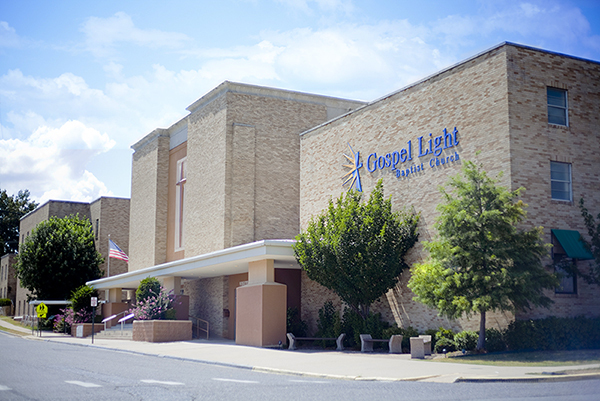 Worship service begins at 10:00 a.m. One service only. No small groups. fellowship. Their address is 810 Richard St. look for the red light in the yard. 9 a.m., at the home of Carolann Capaci. More details to follow.